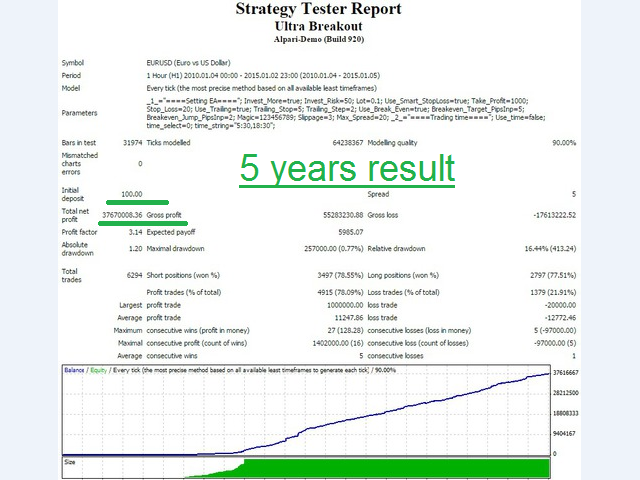 The trading system utilizes a real breakout strategy with an intelligent calculation engine to eliminate bad signals. The EA has only been developed and optimized for EURUSD H15. We recommend choosing a broker with a fixed spread of 5 to 20 points, with a zero STOPLEVEL and five-digit quotes. You can change the settings and try other pairs for better results. 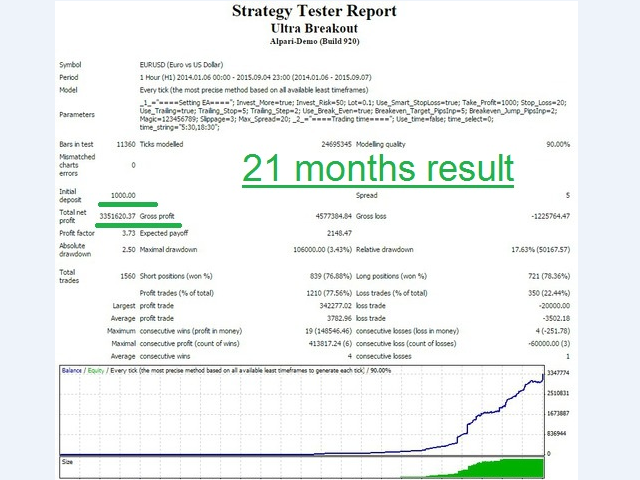 Trades are always protected with STOPLOSS, Smart Trailing and Breakeven. This EA is very easy to use. Setting EA — Expert Advisor parameters. Order Type — Trade direction. Invest More — If this is true, the lot size will increase when account balance grows (Risk Management). Invest Risk — Lot size increase based on the balance value (Risk Management in %). Lot — Fixed Lot (if "Invest More" = false ). Use Smart StopLoss — If this is true, Stop Loss will be adjusted according to price movement. 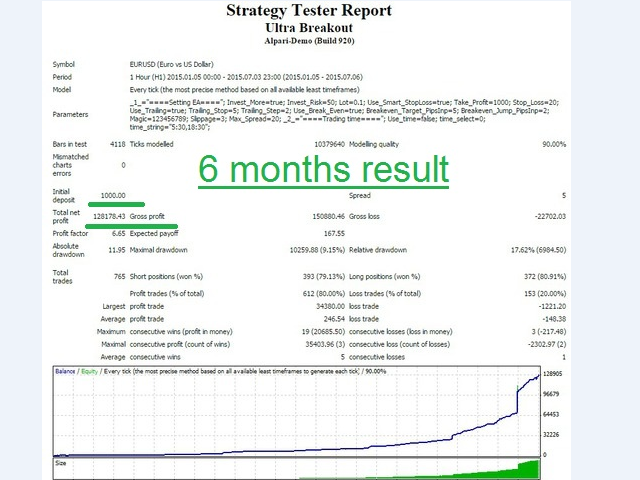 Use Trailing — If this is true, profit will be protected with a trailing stop. Use Break Even — If this is true, the Stop Loss price will be moved to breakeven when price is above target points. Breakeven Jump PipsInp — Stop Loss moves to breakeven at this distance. Magic — Order magic number. Мax Spread — Maximum Spread allowed before pending order triggers. Trading time — Time based filter. 0 = time server, 1 = time PC. time string — Enter comma separated time values, like 00:30,18:30 = trade from 00:30 to 18:30.